It’s pretty clear that when Allen Gannett, CEO and Founder of TrackMaven, wrote his first book The Creative Curve, it was to scratch a certain itch. On the one hand, it was time for him to write a book. Every founder is “supposed” to write a book after a certain amount of success in the industry. It’s almost like a rite of passage in a way. This is totally, radically, insane. But today is pub day for The Creative Curve!!!!!!! I am so, so excited to let this book loose. My hope is you will find it fun and engaging, but most of all helpful for enabling your own creativity. But the topic itself was about something that had been on his mind for some time. And in many ways, he had been writing it in his head for about 3 years before he actually set aside the time to write it. The book had absolutely nothing to do with TrackMaven, his successfully growing marketing analytics platform which is doing $9M ARR. It didn’t even really have anything to do with SaaS or analytics at all. And honestly? It doesn’t matter what the book was about, because Allen is working to build a message, a platform, his personal brand, and support his overall brand at TrackMaven. Allen created content around his greatest assets: his personality, and his dedication to being curious. A content creation process that I’d argue every founder should explore. Here’s the thing: you, as a founder, should be creating content. Even if it’s something no one in a million years will ever see. Even if it’s not perfect. And no — I’m not saying this because it’s going to get you a million leads or a bunch of new MRR or somehow sky-rocket your product into SaaS-glory. I’m saying this because the content creation process forces something to happen psychologically for founders. It starts the “head game” and mental process that’s so important to embark on in the early days of your company. It will help you find your voice. It will help you build your audience. It will help you define your brand and values. And perhaps most importantly, it can help you discover your single greatest asset™️. Brian Faust had an idea. We’ve been working together since late February and have been building out the marketing engine for a product I’m pretty proud to work with: Rindle. 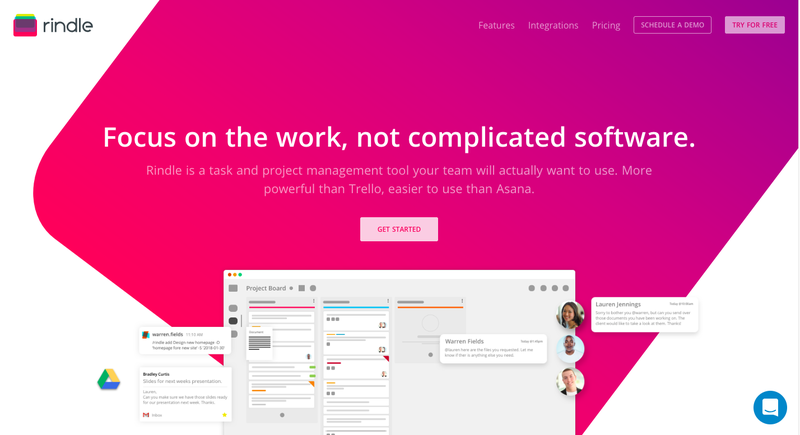 A little backstory: Rindle is a task and project management software created by co-founders Brian Faust and Tom Planer. It’s packed with features that you’d expect in a visual workflow tool, except Rindle comes with a few product twists: Automations and Mirrors. Imagine being able to completely automate your workflow to prevent any balls from being dropped — especially around communication. Also imagine that tasks can have “mirrors” of themselves — making them capable of being treated in a completely separate workflow from its parent task. These features make Rindle exceptionally powerful for a fast-moving team, and educating our customers and prospects about how to leverage these features has been crucial to our success. We had been focused pretty heavily on writing content and figuring out ways to enable Brian and Tom to create what the product needed. So when Brian came to me with his idea, I was all-ears. I’m also biased. I value founder-generated content. I hope to convince you why. “What if… we did a podcast instead?” he said, half-expecting me to immediately shoot it down. In less than 30 days, the Workflow podcast was born. Every week, Brian and his co-founder Tom break down some aspect of getting work done. Here’s the thing — I already knew Brian had a voice. He’s not drywall. He’s got a personality. He also has something of value: he can teach people how to get more done in a team setting. But channeling that into content we can both easily create while still retaining the overall message was, at first blush, a challenge. Until, of course, we tried it. It wasn’t until after Brian started writing that he realized it wasn’t his favorite medium and probably wasn’t going to be valuable for Rindle’s audience either. Do we write content anyways? Of course. This isn’t all about the founder; it’s still about what our customers want, and Rindle’s customers are diverse. Some of Rindle’s customers would rather read long, actionable essays; others would rather listen to a podcast for 25 minutes. But we wouldn’t have even remotely entertained the idea of a podcast until we had done all of the other stuff first. You built your product because you saw a gap. That gap causes pain for a specific group of people, and you’ve figured out a way to solve it. You’re able to contribute value to a specific audience — and there’s a really good chance you know more about that pain than your audience does. This is that single greatest asset™️ that I mentioned earlier. It can be directly related to your product, but it doesn’t have to be. We’ve seen founders embody their single greatest asset time and time again. 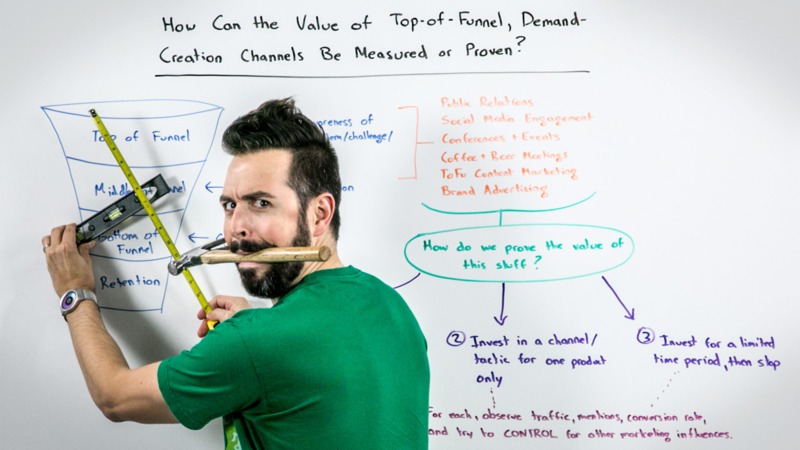 We’ve seen it with Rand Fishkin when he wrote Moz’s guide on SEO or his Whiteboard Fridays. 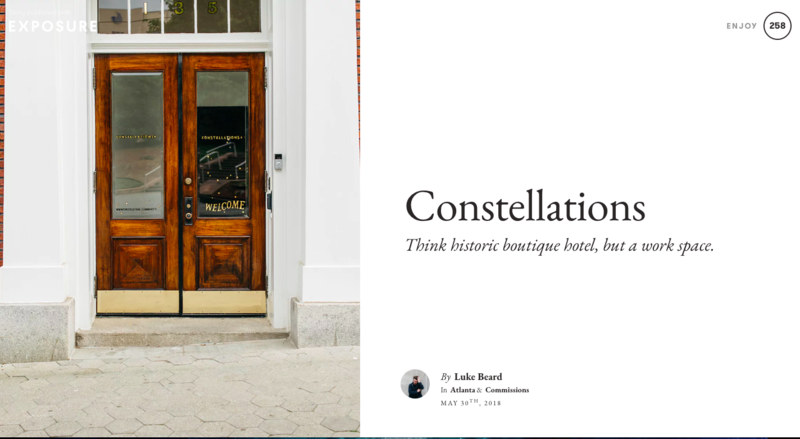 We see it every time Luke Beard tells stunning, masterful stories through Exposure. Remember Alex Turnbull’s growth journey with Groove? That counts, too. Building an audience doesn’t have to be a scary or impossible thing, though. This is why founder-generated content is so important. It takes the edge off. Through discovering your single greatest asset, the rest of the formula follows through. Except imagine if this concept was applied to the content you created as well. Sounds simple, right? That’s because it is. You just need to figure out how you can continue to provide value to your ideal customers. And then start actually doing it. As a founder, there’s certain values that you have. 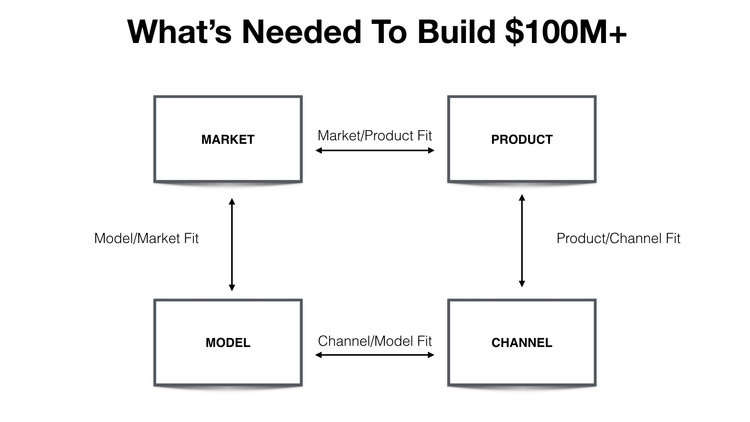 It’s what drove you to build your product in the first place. Communicating that value through your product and your voice isn’t just reserved for marketers to figure out. It’s for founders to help define as well. Your brand doesn’t (yet) exist outside of you, and so much of what you do is through some combination of your personal brand and your startup’s brand. That’s okay — and dare I say inevitable. But only so long as you remember how connected the brand and the brand’s values are. But what does this have to do with founder-generated content, Asia? By creating your own content, not only will you find your voice, but you’ll also develop and sharpen the philosophies and values that drove you to build this product in the first place. And moreover, you’ll discover what’s important to your customers — through value. This is the brand value cycle. It’s iterative. It’s influenced by you, your team, your vision of the world, and the customers you serve. And you might miss it if you don’t get out there in some way. As CEO and founder or co-founder, you’re the face of the company. You’re captain of the ship. You know where you want to go. You’ve enlisted people you think will help take you there. Think about your single greatest asset. It’s okay if you don’t have it nailed down, but by now, you’ve probably come up with a few ideas of what you could talk about and who you could provide value to. Write those down, pop them into Evernote, or store them in your favorite task management tool. Whatever works for you. Define (or just discover) your favorite medium. Listen — not everyone’s a writer. I get it. There are many who feel the same way. But even if that medium isn’t your audience’s favorite, we live in the age of technology. Someone else can transcribe your videos, audio files, whatever it may be. It’s pretty easy these days to repackage content. Just make sure to do whatever’s easiest for you to execute on and provides value to your audience. Plan out some of your content ideas. The step between idea and execution is really a plan. If you can get a plan together on when you’ll brainstorm, write (or record) the content, edit it, get it into WordPress or whatever CMS, then you’re already on your way. Just make sure you actually stick to it — and if you find you’re slacking on it or blocked, then it might be time to do some more soul-searching. Consistency and iteration are key. You’re probably not going to hit it out of the ballpark right away. And that’s okay. This is a process after all. Your content will need some massaging over time, but the important part is that you’re both consistent and iterating on your topics. You’re building both a brand and a voice, and that won’t happen overnight. If there’s nothing else that you take from this article, take this: as a founder, you have something magical to contribute. Content marketing isn’t just for marketers; it’s for founders too — and you’ll arrive at a much clearer picture of what your brand means to your customers when you start creating things on your own. Asia Matos is the CEO & founder of DemandMaven.io, where she helps early-stage startups get to their first $100K MRR. Previously served as head of marketing at Hull where she helped the team 10.5x in growth, and demand generation manager for #FlipMyFunnel / Terminus. When she's not helping founders accomplish their dreams, she's playing the ukulele, hiking, or jamming out to Beyoncé.